DDR Freak :: View topic - DDR Freak Radio: OLR replays! 0. Posted: Tue Mar 11, 2003 8:15 am Post subject: DDR Freak Radio: OLR replays! Other than making the stream lower bandwidth, does anyone have any neat ideas for features or specials that I could do? I'd really love to do more with the station, but I don't know what the people want! 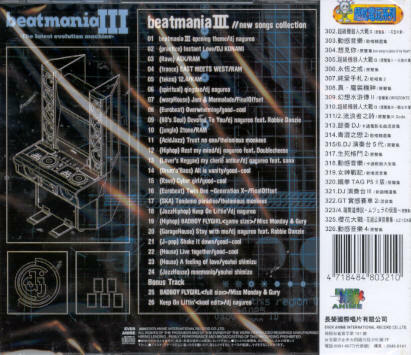 I could listen all day to the Beatmania III songs...only thing is, I've never come across a soundtrack for it. But Pop'n Music and KBM would surely have plenty. Especially the full version OST from KBM. Also, anyone up for the good-cool Super-Collection? Those aren't very DDR related, I know. 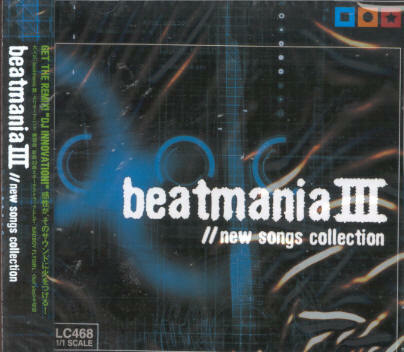 Pop'n Music, KBM, BMIII, good-cool Super Collection, etc. Why not the other artist collections too? It would help the popularity of other bemani, and the songs simply are awesome. YOUR STATION ROX!! IM LISTENING TO STAY (MOD BOUNCY)! oh maybe you could do news or something like announce,ents and embarras banned people by announcing them over it. "It was totally sharky, complete!" thanx 4 bringing us DDRFreak radio!!! This thread was made to discuss DDR Freak radio, Spudman, not so you could blatantly advertise your radio station. Play stuff like Broken My Heart, Ordinary World, Look To The Sky. Play music from 3rd Mix of (insert Bemani game here) and below only. Only play songs with full or long versions. Artists that have been featured in Bemani games only once or twice. Only play remixes of songs. Hey, the Guitar Freaks + Drummania Best Of CD is out, isn't it? And doesn't Extreme's OST hit at the end of this week? I'll have those mofo's ordered lickety split. I'm sure you could make the themes out of what's currently up there. However, it never hurts to rotate the music out. Nobody wants to listen to the same old things over and over again. You can't forget those cool PIU songs.. yeah there not konami or bemani but there are some awesome songs.. I don't know just some ideas btw those are some songs I like. Unfortunately, it's bootlegged, so I don't know if it's a custom collection, or if it's a bootleg of a legitimate release. I've got a semi-unrealistic suggestion. Is DDRFreak hosting the music/Shoutcast server locally, or is it all done via Live365? The reason I ask is because I can't log in to Live365 at work (IE hosed security), but I *can* listen to Shoutcast broadcasts, and since Live365 now requires login for receiving, I pretty much can't listen to any Internet radio. I suppose I *could* set up a SC relay at home, but with only 128Kbps upload and other stuff running on my system (and PPPoE), that'd be an awful lot of effort, and possibly not even feasible. So, is there any way you can offer the stream without Live365? If they're providing the bandwidth, then I understand the answer would be "No". I'm just curious. a> Live365 offers the bandwidth and for pretty darn cheap, too. b> You're forgetting the RIAA/C.A.R.P. bull pucky... Live365 covers all of the licensing for those who broadcast under their scope. Shoutcast and other online radio groups do not. It costs an exorbitant amount for the fees for separate licensing (to the tune of thousands of dollars) and the fines are worse if you get caught broadcasting without the proper licensing. We can't take any chances. Live365 is the station's home... unless the RIAA loosens their stronghold on the online radio industry, that's not changing. That's about what I figured. I guess I'll have to look into setting up a SC relay at home then.